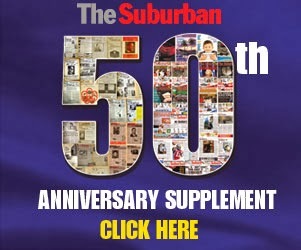 The Suburban.com - The Suburban - Mike Cohen: Which federal party will try and draft Maria Mourani? Which federal party will try and draft Maria Mourani? When it comes to the federal political scene, Maria Mourani is the equivalent to a star free-agent in hockey. Mourani was booted from the Bloc Québecois caucus after speaking out against the PQ government's controversial proposed Charter of Quebec Values. She subsequently quit the party altogether, hinting that she will also renounce sovereignty. Let us all remember that Jean Lapierre was a founding member of the Bloc, but returned to the federalist fold and even served as a cabinet minister for the Liberals under the short-lived Paul Martin government. As the Member of Parliament for Ahuntsic, Mourani has plenty of time to contemplate her political future. The next federal election is scheduled for the fall of 2015, but it will likely be earlier. So who should be pursuing Mourani? -Let's start off with Prime Minister Stephen Harper, who has absolutely no Tory MPs on or near the island of Montreal. Drafting Mourani and handing her a cabinet post would provide him with an invaluable asset possibly able to rebuild the dwindling Tory base in all of Quebec. -Liberal leader Justin Trudeau has already praised Mourani's stand. Ahuntsic was a Liberal riding held by Eleni Bakopanos until Mourani took it in 2006. -The NDP already has a number of soft nationalists with loose PQ affiliations on board. Leader Tom Mulcair is probably best positioned to grab her. He would be well advised to try and do so quickly, for having Mourani campaign for his party in the upcoming Bourassa by-election in multicultural Montreal North would be a coup. On CTV's Question Period, Mulcair seemed to nix the idea. "It has never come up,” he said, noting how he doesn’t see how someone from the sovereignist Bloc Quebecois could transition to the New Democrats. “Being a strong federalist party, I can’t see how that would work out,” he said. Let us remember that Nycole Turmel, the NDP MP who was chosen interim leader after Jack Layton died, was a card-carrying member of the Bloc Québécois only months before the last federal election. And there are others in his party who are probably on the bubble when it comes to sovereignty. The Liberals are the only Federalist party in Ottawa. The Conservatives have Denis Lebel, a former Bloc supporter. Plus remember what happened to the nationalists in Brian Mulroney's party back in the day of Meech. Plus, you have the Reform Party regionalists on board.